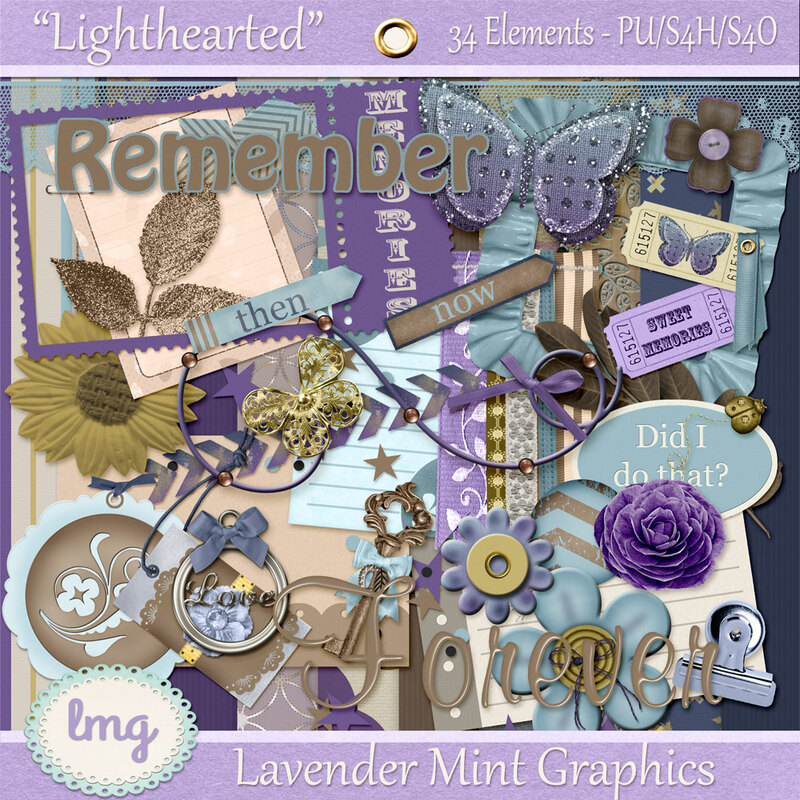 This kit was originally part of a sort of mini blog train on Pixel Scrapper called “Pass the Kit”. 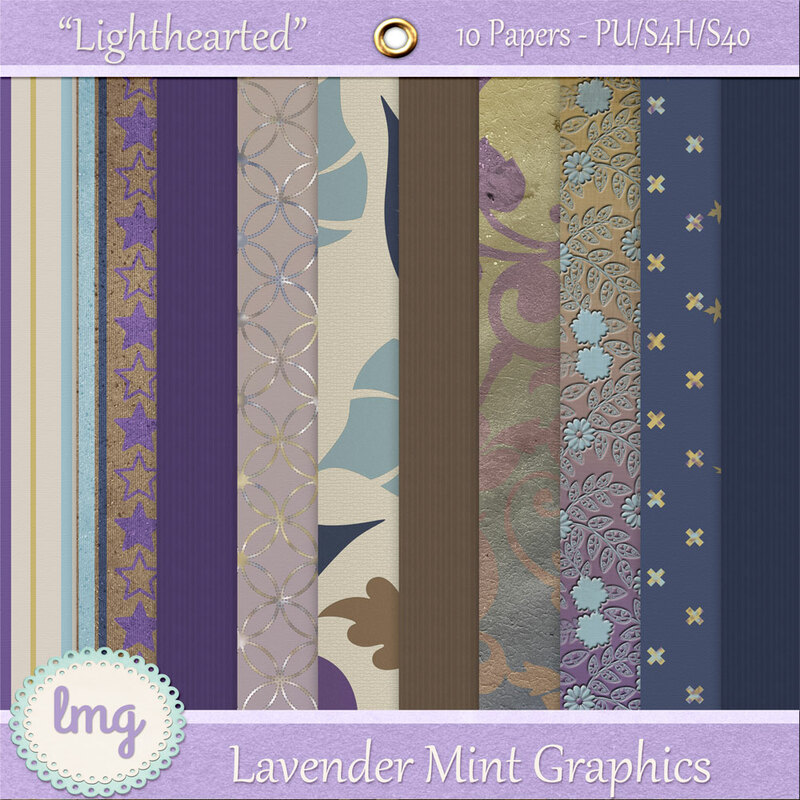 A team of four of us created papers and elements to make one big kit. Our leader mysteriously disappeared as well as her blog after she created just a few things. We still don’t know what happened to her, but hope she’s okay. The three “newbies” were left on our own, with no theme directions or kit name. I used a color/name generator and when the name “lighthearted” came up, we settled on that for the name. The elements were a kind of time-oriented theme, past and present. Fast forward and it was suggested by our current challenge director to redo a few things and redistribute as a single, more cohesive kit. So, I did and removing it from the “Pass the Kit” challenge. In fact, I deleted the old post!